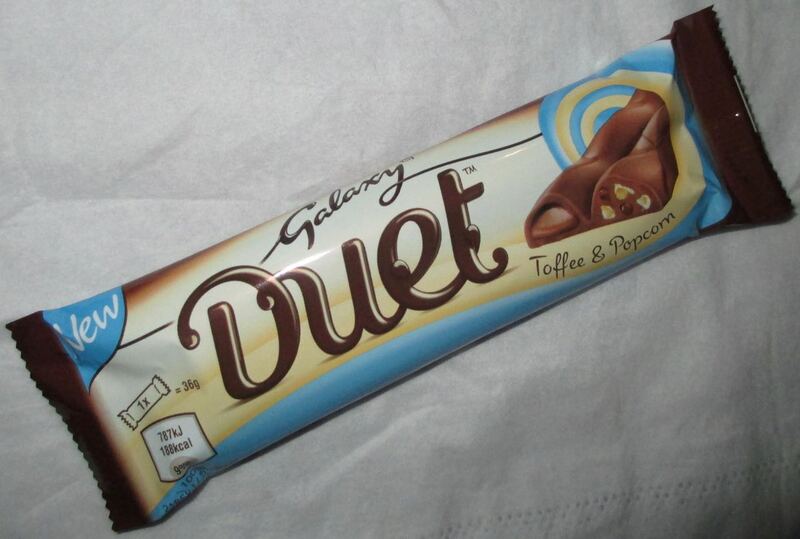 I have been very much enjoying the Duet range from Galaxy, where they have caramel ones side of the bar and another ingredient the other. The new kid on the block is this Galaxy Duet Toffee and Popcorn bar, and as a fan of popcorn I thought this was a nice addition to the range. I hadn’t completely thought through how you’d squeeze popcorn into a thinnish bar, but when I broke it in half I had been expecting something that looked like popcorn squeezed into one side. I saw nothing. I broke it again, and again, in varying different place and all I could see were the odd tiny speck of crystallised sugar, or the tiniest bit of white, which may or may not have been actual popcorn bits. Obviously the side with the toffee caramel was fine, and was by now oozing everywhere! I decided to give the bar the taste test and move one. 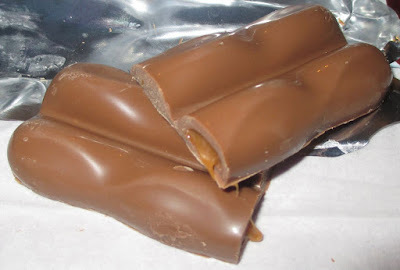 Okay the chocolate is superb, I always forget just how good Galaxy is, I tend to only buy it if there is something new in the range and whenever I have it I am impressed by the flavour and that silky texture. The toffee caramel was good, it was mainly very caramel like in flavour, but there was a pleasing hint of the promised toffee. The second side of the bar had the solid toffee shard which although I couldn’t see much of it I could feel it when I bit in and it gave a light crunch, this tasted more like a rich toffee flavour, and there was a pleasing popcorn taste too. It was well balanced and worked well with the chocolate. Again just because you couldn’t see the popcorn didn’t mean the chocolate wasn’t infused with the flavour. The only thing I missed in the bar was bigger bits of popcorn, but that is mainly because of my love of varied textures. Flavour wise it hit the mark completely.